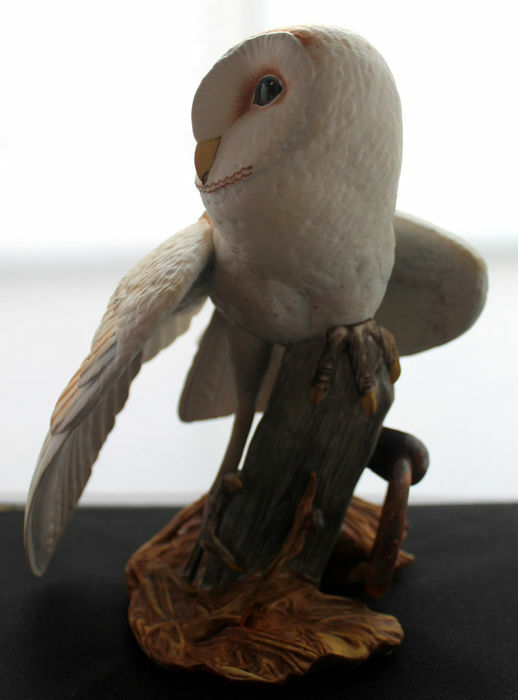 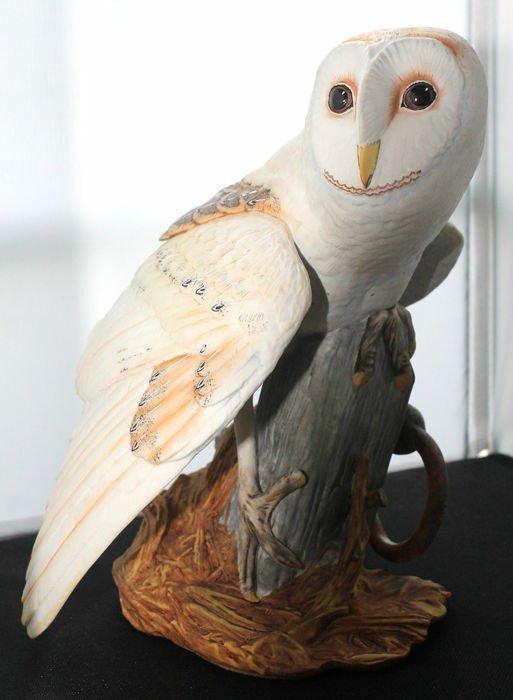 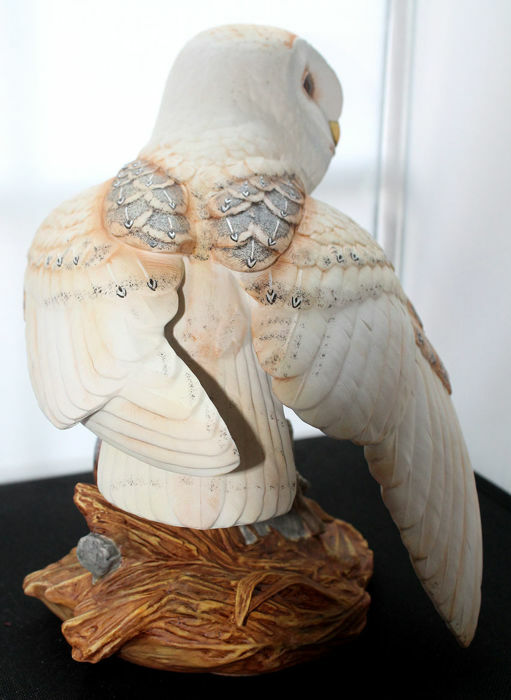 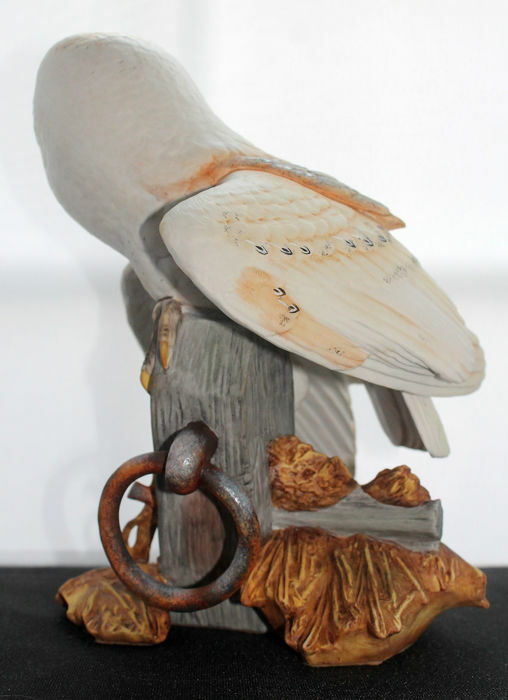 Franklin Mint 1987 - sculpture "Die Schleiereule (The Barn Owl)"
The barn owl sitting on a tree stump has been made with a lot of attention to detail. 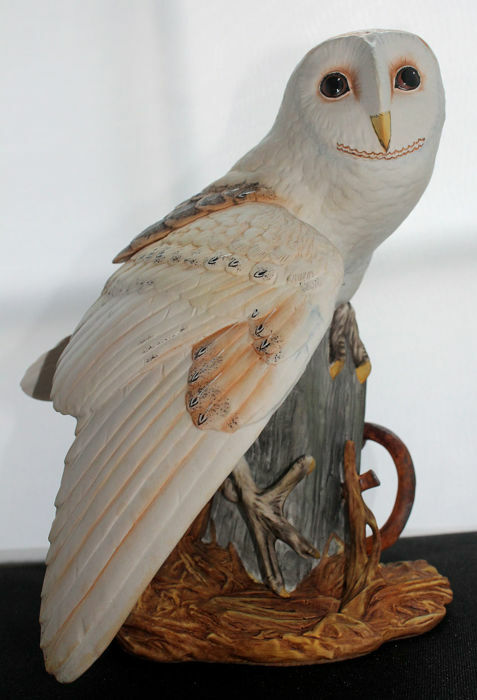 This collectible is made of fine bisque porcelain, it has been hand-painted in the colours of nature with a lot of precision. 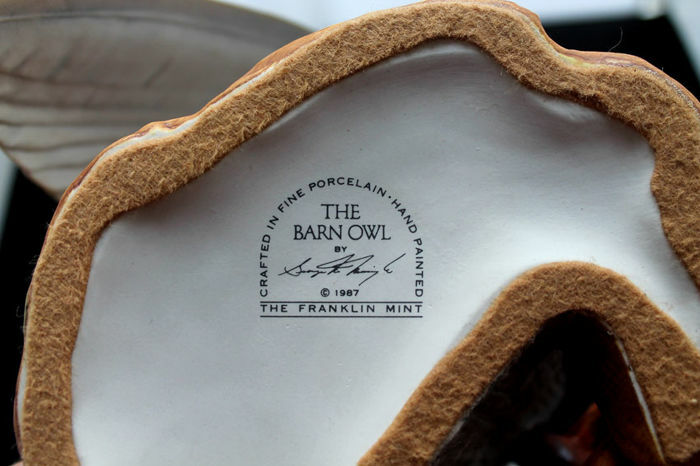 A corresponding stamp can be found on the back of the figure. 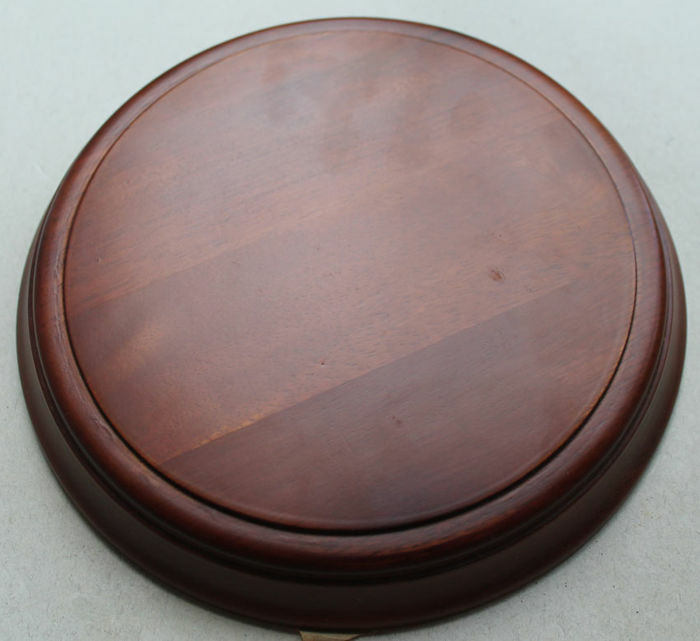 The wooden base is separate.